AED 199 199 Due to Valentine's day, prices are up for the selected delivery date. Love is an amazing feeling that teaches you to be caring, loving, and compassionate towards your partner. Valentine's Day is around the corner and you can feel the fragrance of love spread everywhere. 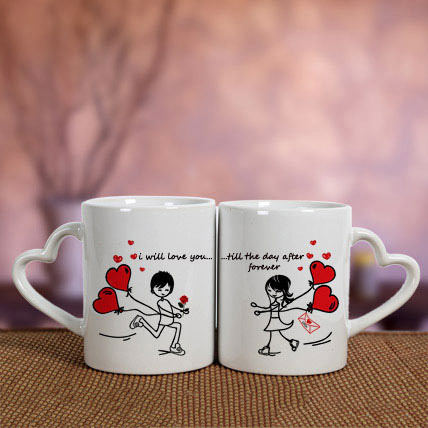 Make this day special for your partner by gifting them this set of two lovely mugs and express your never-ending love for them. Although we try not to, occasionally, substitution is necessary due to temporary and/or regional unavailability issues. This mug is made of ceramic and is breakable. It is microwave safe and dishwasher safe. Clean it with a sponge. Do not scrub.